Ultraviolet light (also known as black light) is short wavelength light energy just off the end of the visible light electromagnetic spectrum which causes specially treated materials to fluoresce on an otherwise blackened stage. The materials degrade the UV wavelengths into longer and therefore visible reflected rays. Used for special effect and for lighting onstage technical areas (eg Fly Floors). 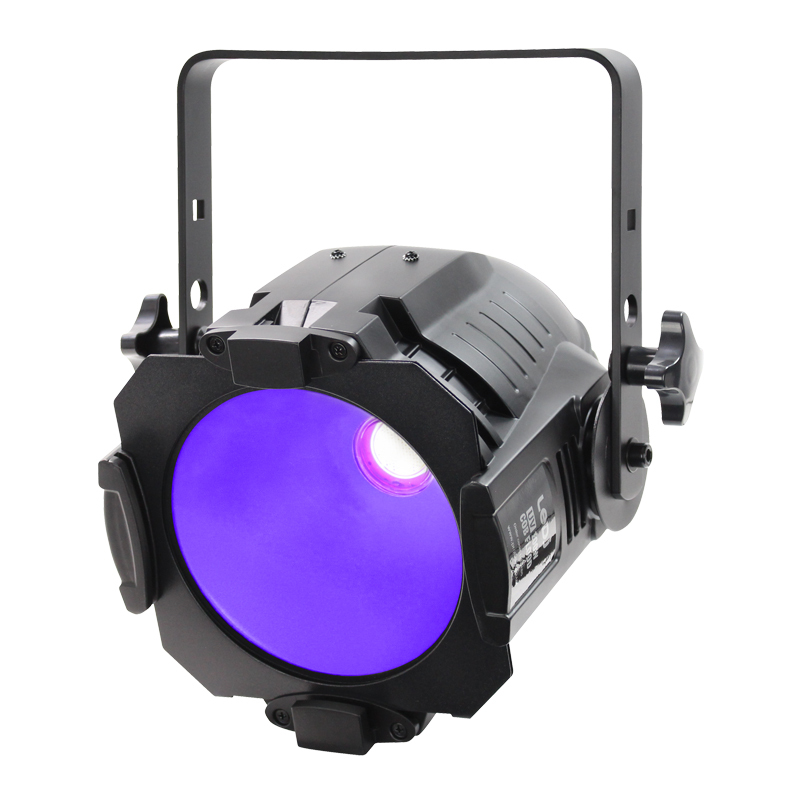 Ultraviolet sources designed for stage use are known as Black Light sources (also known as UV-B) and have all harmful radiations filtered out. Until around 1938, Black Light was only created as a by-product of using arc lights. Around that time (see article ‘Black Light’ from TABS in 1938), the mercury lamp was produced which created a reliable and safe source of black light. 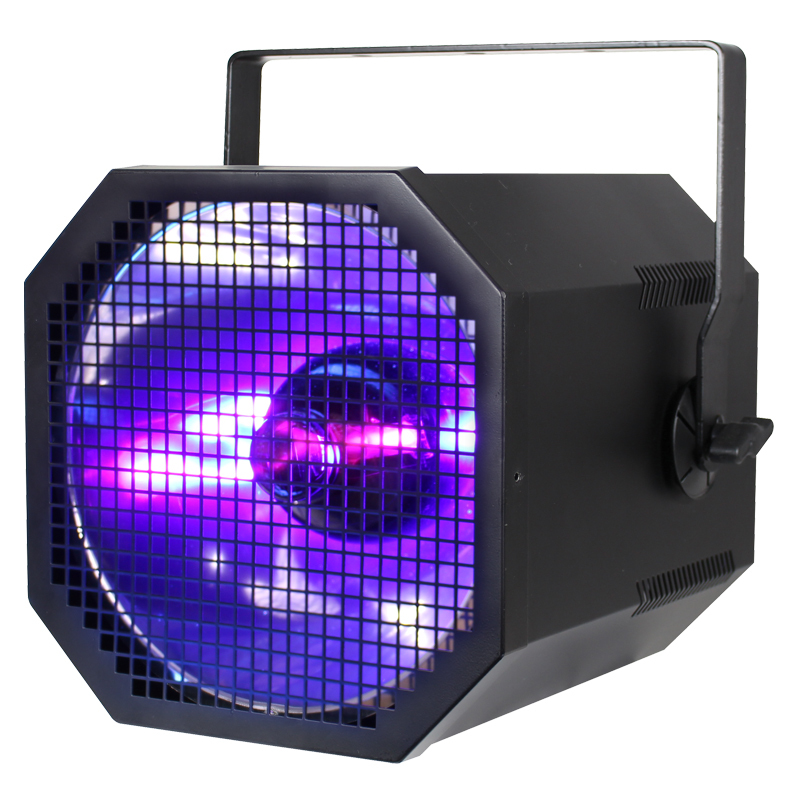 Some moving lights can also produce UV light, due to the discharge lamp being used. Some materials contain phosphors which emit visible light in response to radiation. Phosphors subjected to UV light fluoresce as they become excited by the radiation. Clothing that’s natural (non-synthetic) and that’s washed in a detergent containing ‘optical brightener’ (that makes white clothes appear bright) will probably glow under UV light. Some clothing or paints that contain phosphors will also glow. Black Light is used extensively in the Czech Republic where stunning effects are achieved on stages lined with black velvet. Wildfire in Los Angeles produce a range of high intensity fluorescent paints which they use on stunning transformation scenes. Below are two sculptures seen under visible light, then under UV light.